Sling TV is one of the best streaming services available. The service allows you to watch live television or on-demand content. One of the best features of this service is the "a la carte" style programming. This allows subscribers the flexibility to customize what they want to watch. This service is known as the original streaming tv service and is still the least expensive. Sling TV is an online streaming video service. The company is a subsidiary of DISH Network. This service is entirely separate from the DISH Network satellite TV service. Unlike the satellite version, Sling TV is a no-contract live TV streaming service that delivers live television through your internet connection to devices such as computers, tablets, smartphones, or streaming devices. It requires no installation, there are no extra fees, and you can cancel anytime. Sling TV is arguably the number one choice of cord cutters. Sling TV is the least expensive live TV service before any discounts or promotions. This service allows you to choose between different channel packages and watch TV channels such as ESPN and Comedy Central. Sling regularly offers promotions on free streaming devices players too. Subscribers can choose from up to three different plans: Sling Orange, Sling Blue, and Orange + Blue. They also offer nine different add-on packs, as well as, Latino and International programming and premium channel options. DISCLAIMER: Channels may have changed since this article was written. 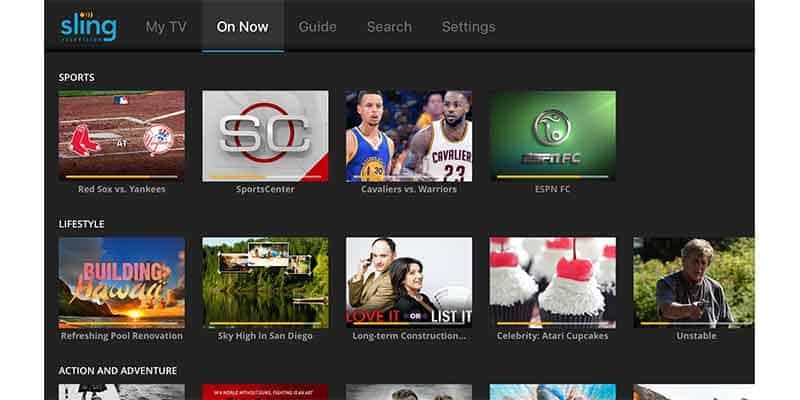 Sling TV offers eight different premium channel options. Watching live international television programming has never been easier. International TV is one of Sling TV’s greatest strengths compared to other services. Subscribers can choose to pay monthly or can pay annually. The monthly prices are very inexpensive but the annual plans will save cord cutters 30-50% depending on the language. Sling TV is supported by a wide array of devices leaving subscribers with many options. Users have the flexibility to watch their favorite shows and movies in a variety of different ways such as at home on your television or on your phone while you’re on the go. Here is a list of compatible devices. Sling Orange allows you to stream on one device. Sling Blue allows for three devices and Orange + Blue allows for up to four devices to be streaming concurrently. 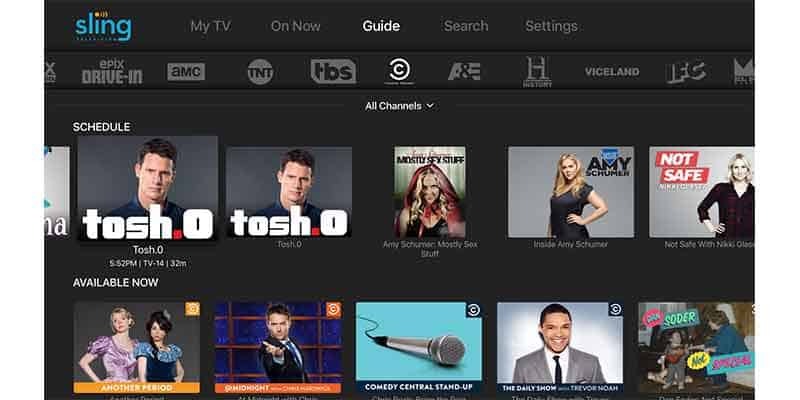 For an extra $5/month subscribers can get access to a cloud DVR. This DVR gives users 50 hours of recording space that can be used to record individual episodes, all episodes of a series, or only new episodes of series. 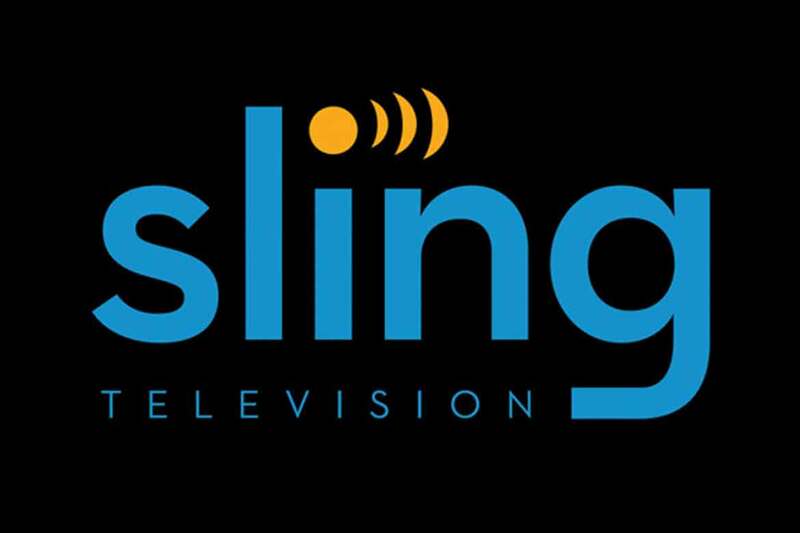 Sling currently has the best DVR service of any of the streaming TV services. However, users cannot record any Disney or ESPN channels which is sort of a bummer. One of the great features is Sling offers parental controls. Users can set a password and it has rating restrictions. You can also search for your shows, but this feature does a poor job sorting results. Another awesome feature is that you can rewind to the beginning of a show if you start late and for recorded shows, you can fast-forward in 30-second increments. They have a great selection of On-Demand content and you get logins for 18 different channel apps with the “TV Anywhere” feature. Like many other services Sling TV has limitations and restrictions depending on where you live and what package you subscribe to. The Sling Orange streaming plan does not include any locals, but you can add-on the “Broadcast Extra” which has ABC and Univision. The Sling Blue streaming package includes FOX and NBC but you cannot add ABC. Orange + Blue gives you ABC, FOX, NBC, and Univision. CBS is not offered by Sling. Users that want CBS can use an OTA antenna or purchase the CBS All Access app separate from Sling for $5.99. This calculator is designed to demonstrate what your typical cost savings would be if you canceled your cable subscription and signed up for one of Sling TV’s streaming plans. First, enter the cost of your current plan and then choose which plan you would like. Click here to see our 2018 Cord Cutting Calculator that includes all services.